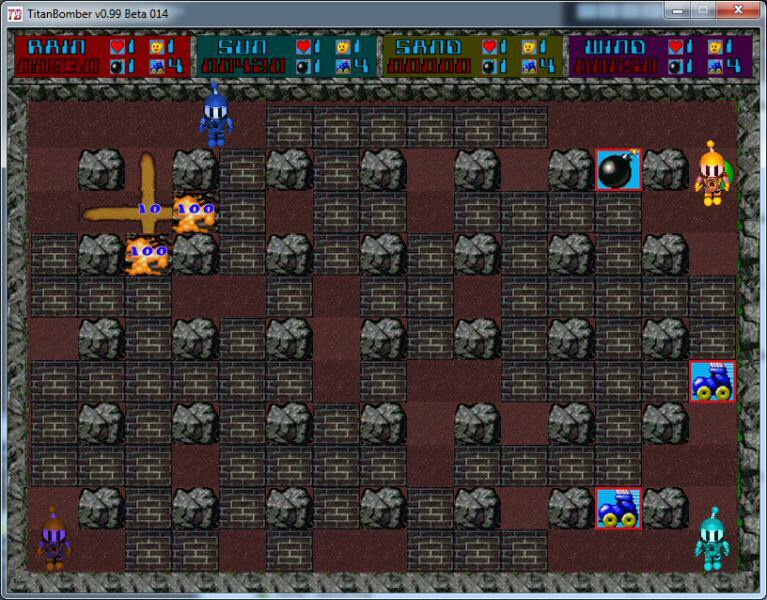 Bomberman-like game developed in 2011. The game is on beta stage waiting for the final graphics, music and sounds. If you are interested on collaborating on any of these areas, please feel free to use the EditorDPF to modify the resources and if you like, send us the result in order to allow us to publish the final version. Collaborators will receive special greetings in the game credits and could use this project for improving personal portfolio. 2D environment at 800×600 and 16. 24 or 32 bits. Supports OpenGL. 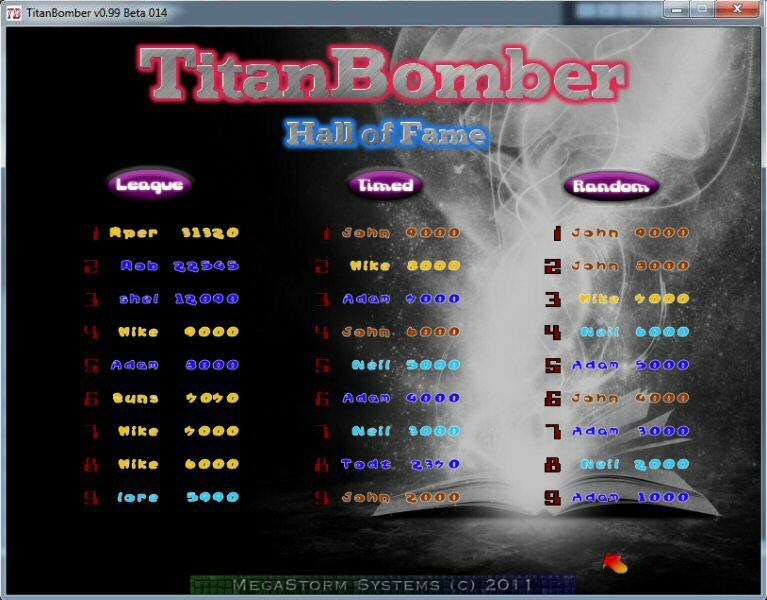 Up to 4 players playing in local or network running on any supported platform. 4 maps and 3 different game modes: league, timed and random. High score table for each game mode. 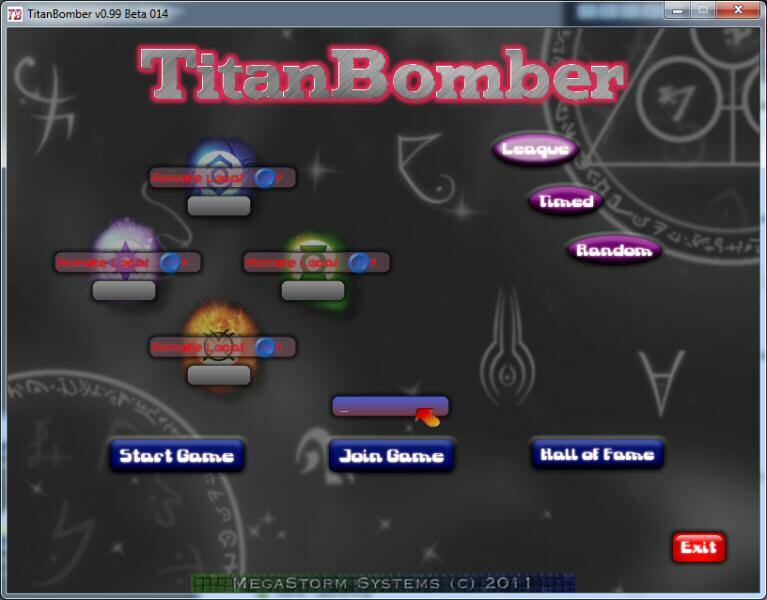 Available for Linux, MacOS X and Windows. Developed in C++ using CRM32Pro SDK. 32bits binaries for supported operating systems. Source code and make files for VS2008+ and GNU C/C++ 4.x. Get access to all releases repository. Copyright © 2019 MegaStorm Systems. We do not share these data with anyone.